For a natural, sunkissed glow, this newly formulated body lotion is ultra-hydrating and creates a healthy-looking tan to suit all skin tones. It's streak-free, easy to apply, quick-drying, and non-sticky. Plus, it has no self tan smell, yet features a new mood-boosting fragrance. 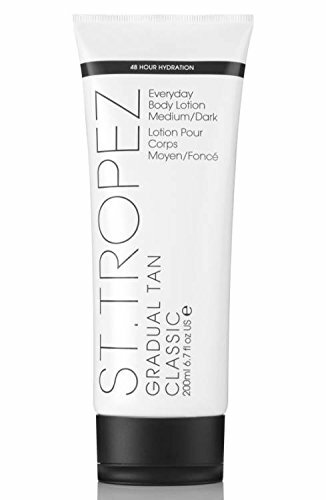 Reapply daily, or as desired, to build your depth of tan By ST. TROPEZ. If you have any questions about this product by Gradual Tan Classic Everyday Body Lotion, contact us by completing and submitting the form below. If you are looking for a specif part number, please include it with your message.